I’ve wanted to do a yellow submarine manicure for a while. Uber Chic’s nail plate and this nail challenge offered the perfect opportunity. 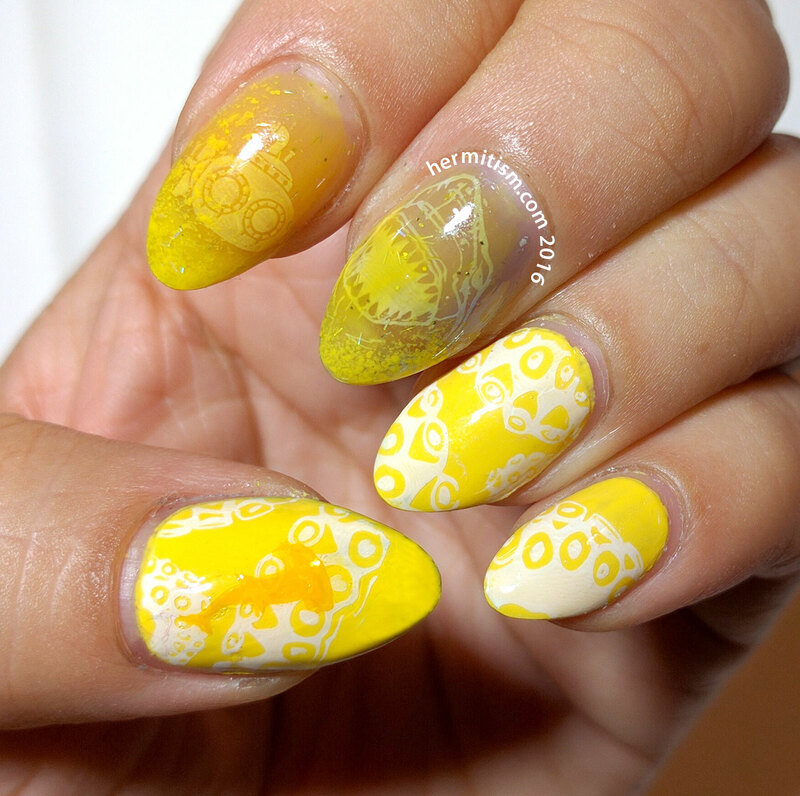 I focused on a few jelly nail sandwiches with white stamping and a tiny bit of yellow gradient and a few solid yellow nails with obviously white stamping. I paid for my laziness at getting a good selection of stamping polishes because the shark on my thumb isn’t opaque enough even after layering two darker yellow stamps on top of each other. Also I didn’t photograph my nails for three days so I had to touch up the tips. Ooops. This is my first time using my Uber Chic Beauty nail stamping plates and they worked quite well. I look forward to buying more of them soon.